A cut silver halfpenny of Henry III dating to the period AD 1248 to 1250. North Number 986/1. A cut silver halfpenny of Henry III dating to the period AD 1248 to 1250. North Number 988. 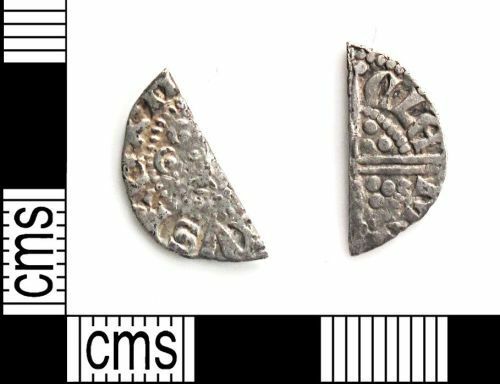 A cut silver halfpenny dating to the period AD 1248 to 1250. North Number 986/1.